After replacing piping during a unit re-vamp, slight process changes seemed to cause significant corrosion to an inaccessible location. However, due to the early life of piping (<3 yrs. 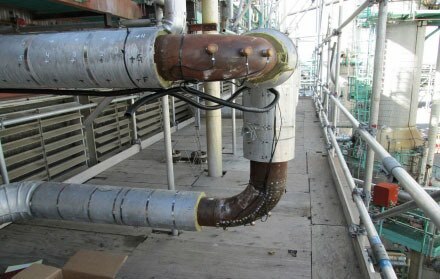 old) and limited data available, skepticism was raised from customer about the true corrosion rate of the piping. A semi-permanent platform was then built to access to the location and an NDT technician was scheduled to perform a complete UT survey every 6 months.